Reporter films heavy presence as he goes in search of tea. 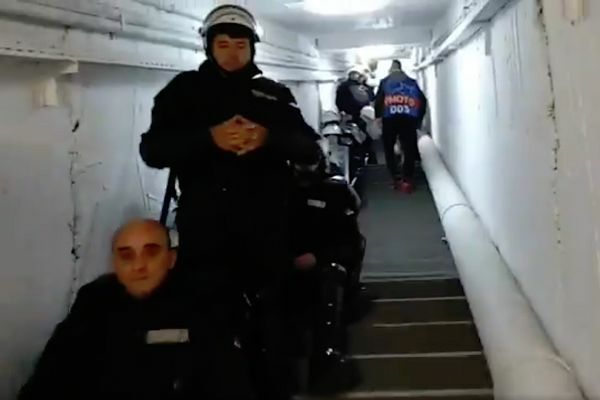 A journalist filmed the ongoing line of armoured police populating the corridor as he went in search of a half-time cup of tea at Red Star Belgrade 2-0 Liverpool. New York Times and World Soccer writer James Montague shared the clip on Twitter to demonstrate the heavy security presence at the Rajko Mitić Stadium on Tuesday night. Two first-half goals from Milan Pavkov gave the Serbian SuperLiga side a shock win in the Champions League Group C clash.